We would love to hear stories about how you and your daughter are staying connected and thriving through her adolescence despite the challenges, or to hear about your mother-daughter group. For information on author interviews and appearances, please contact Elizabeth.Keenan@us.penguingroup.com. 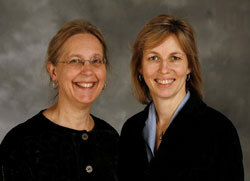 SuEllen Hamkins and Renée Schultz are both available for speaking engagements through the Penguin Speakers' Bureau.